Please give this a try and let us know what you think! As a follow up to my earlier post on Formatting the content for Service Bus messages where we walked through the BrokeredMessage APIs that allow you to have custom formats for message content, I wanted to cover how you can use NetMessagingBinding (WCF) to receive such messages. This scenario would be relevant when your clients/senders are using REST API or non-.NET SDKs like Java, Python, PHP and Node.js and you server/receivers want to use WCF to process the messages. NetMessagingBinding always builds a channel stack with BinaryMessageEncodingBindingElement+NetMessagingTransportBindingElement. If the BrokeredMessages in your ServiceBus Queue/Subscription are plain text, xml, then BinaryMessageEncoding won’t work, using WCF you’d have use a CustomBinding with TextMessageEncoder and NetMessagingTransportBindingElement instead. You need to use a CustomBinding with TextMessageEncodingBindingElement (with MessageVersion = None) and a NetMessagingTransportBindingElement, make sure Action=”*”, and set AddressFilterMode=Any on your ServiceBehavior. 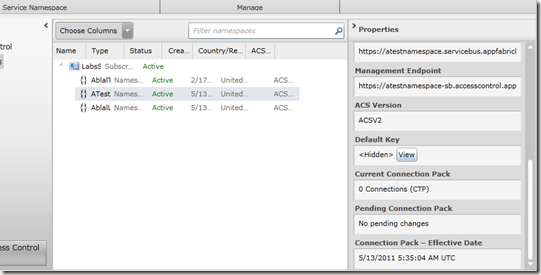 string connectionString = "Endpoint=sb://<Service Bus connection string from Azure portal>"
A message broker has to deal with scenarios where clients are using different protocol and client library versions to send and receive messages. In addition different platforms and protocols have varying support for serialization. 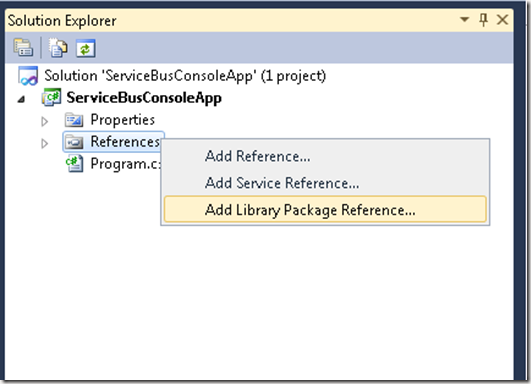 For Windows Azure Service Bus, following are some examples of using different methods to create messages to send to Topics and Queues, and the corresponding approaches that can be used to receive the messages from Queues and Subscriptions. 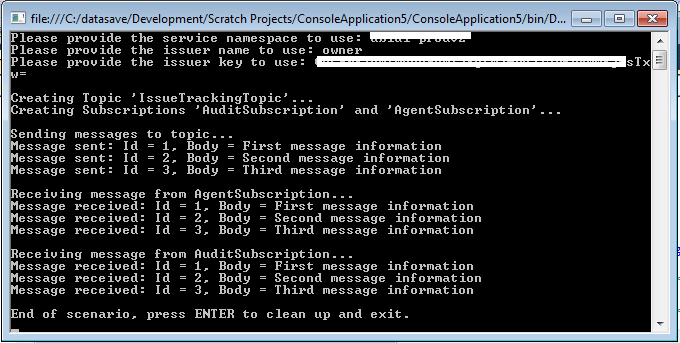 The following examples apply when using the .NET API to send and receive messages. Following is some collateral to get you started and I am happy to answer any questions/concerns. 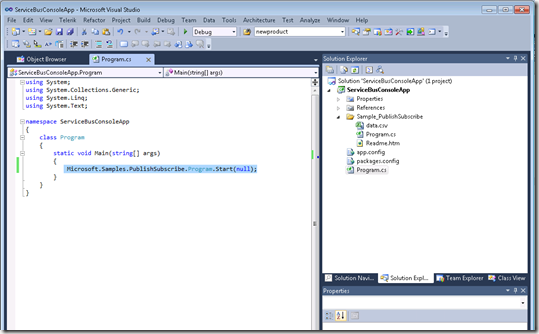 From the References node in Solution Explorer click on the context menu item for Add Library Package Reference. 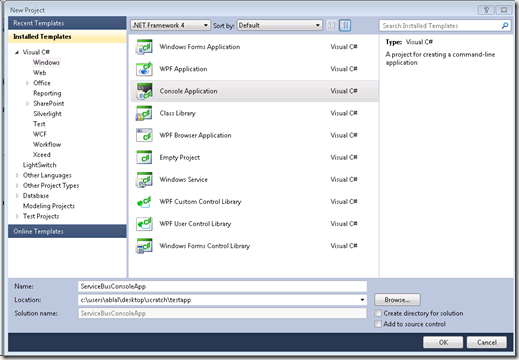 This will show only if you have NuGet Extension installed. 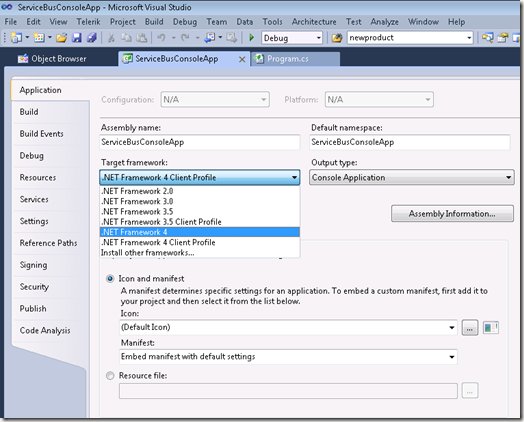 (To learn more about NuGet see this TechEd video). 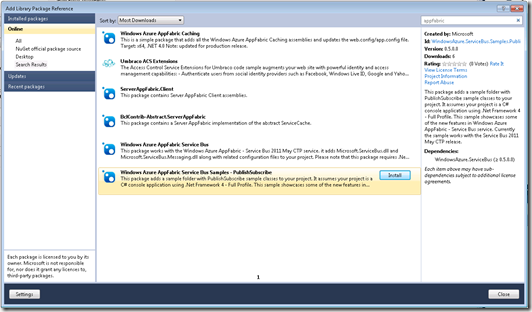 Search for “AppFabric” and select the Windows Azure AppFabric Service Bus Samples – PublishSubscribe item. Then complete the Install and close this dialog. 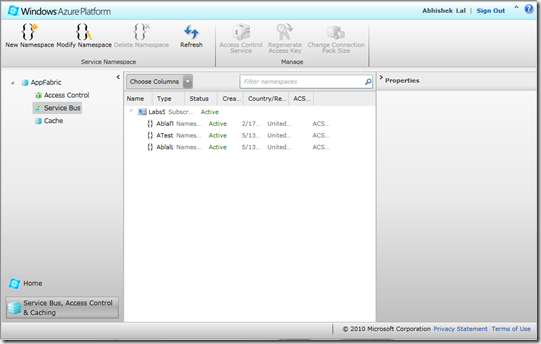 Note that the required client assemblies are now referenced and some new code files are added. Looking forward to your feedback / questions / concerns / suggestions.